You may have heard that hashtags can help you grow your social media following and help you sell more art. You can think of a hashtag as a heading or category name which you use to classify and identify whatever your post is about. A hashtag has a specific format so that it can be recognised as a hashtag as opposed to general text. The first defining feature is that it starts with the # sign. A hashtag cannot contain special characters like @ or ! or '. They can only contain letters and numbers. This practice is however not recommended. Why Do We Use Hashtags? Social media platforms like Twitter, Facebook and Instagram are simply computer programs. At this stage computers are not very good at identifying what is in a photo or video. As a result it relies on the text you add to your posts in order to know what the photo is about. By adding hashtags to your social media posts you help identify what your post is about. That way people can search for a hashtag and Instagram / Twitter, etc., can show the user all the posts with that hashtag. If you only had text in the post description, the text may not properly identify what the photo is about. "I am really enjoying creating in this new style!" Do you think Instagram or Facebook is going to know what your post is all about? Absolutely not. "I am really enjoying creating in this new style! 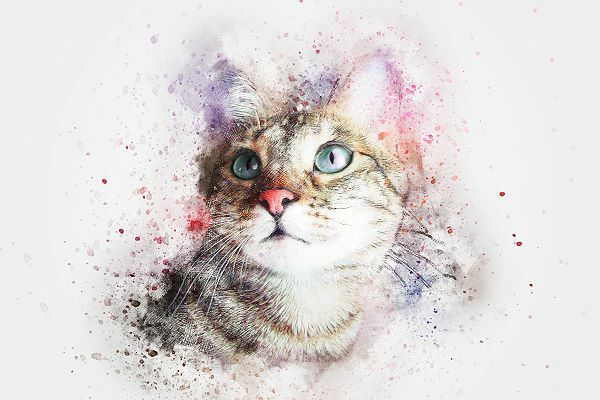 #catart #watercolor #painting #impressionistic #abstractart #ilovecats"
Now you will be included in the search results when somebody searches for " I love cats" or "cat art" or "#impressionistic", etc. Nowadays pretty much every social media platform has built in support for hashtags. Some platforms however are built specifically to make full use of hashtags. Two of these platforms are Twitter (they invented the hashtag) and Instagram. You should however use hashtags on all your social media posts as it can only help you get found. Where Do You Put Your Hashtags? In general you will add your hashtags into the text portion of your posts. Most people prefer adding their post description first and then the hashtags afterwards, like we did in our cat example above. I have however seen that some people prefer adding the hashtags first and then the description of the post. I personally add my hashtags after the post description. You should test adding them before vs after to see which gets you the best response. Twitter has a 280 character limit per post so only add the most relevant hashtag(s) to your tweets. Facebook has only started recognising hashtags a few years ago. As a result of the use of hashtags is not that common. The current recommendation is to use only one or two hashtags per post. Pinterest has no limit as to the amount of hashtags you can use, but as with Facebook, hashtags are not that common on Pinterest yet. Adding a few to the end of your pin descriptions can however do no harm so go ahead and add as many as you want. Instagram's search feature is built around hashtags so it is crucial that you add hashtags to every one of your posts. They do however limit the amount of hashtags you can add to a post to 30. Once you start adding hashtags to your post however you will find that 30 is usually an overkill. I recommend only adding as many hashtags as are truly relevant to your post. Remember the idea with hashtags is to allow people to quickly drill down and find exactly what they want to see. If you have unrelated hashtags in your post and it shows up in an unrelated search as a result, the person searching is not going to look at your post anyway. You have no not only wasted everybody's time, but the search engine will think that your post is not a good one so will start excluding it from it's search results. In other words, adding irrelevant hashtags hurts your post instead of helping it. Tip: Adding lots of hashtags to a post caption on Instagram can quickly make it appear cluttered. As a result many Instagrammers like to add their hashtags into the first comment of their posts instead of in the caption itself. This tactic seems to work great, but in general a search algorithm will see the caption as being more important than the comments so my recommendation is to add two or three of the most targeted hashtags into the post caption. Then add the secondary hashtags into the first comment. As always I recommend you test the response you get when adding only a few targeted hashtags vs adding more and broader hashtags to your posts to see which gets you the best result. There are basically 5 categories of hashtags you can use. We have discussed this category a little already, but let's delve a little deeper. The next hashtag category is popular tags. Certain hashtags trained at different times. For example you may notice that #cutecats is currently going viral. You can then add this hashtag to your post as well. #tbt or #throwbackthursday - every Thursday artists post an old artwork using this hashtag as a means of re-showcasing good previous artworks. #autumnart - this hashtag will trend only in the fall. 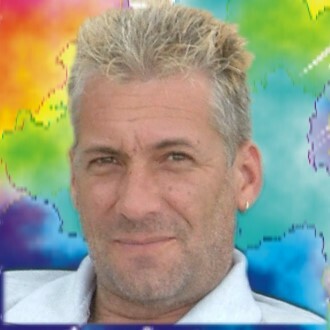 #follow4follow - when a person sees this hashtag they know that if they follow your account, you will follow them back. That way you have both grown your accounts. #likeforlike - similar to #follow4follow but they will like your posts, you will then go and like their latest post. #shoutout - when you use the shoutout hashtag you are posting to your followers but mentioning another person in order to make your followers aware of that person. This is usually in response to somebody reposting some of your content as a way of saying thank you. It is all good and well knowing that you might add hashtags to your posts. If however you don't know which are the best hashtags to use you may just waste your time anyway. 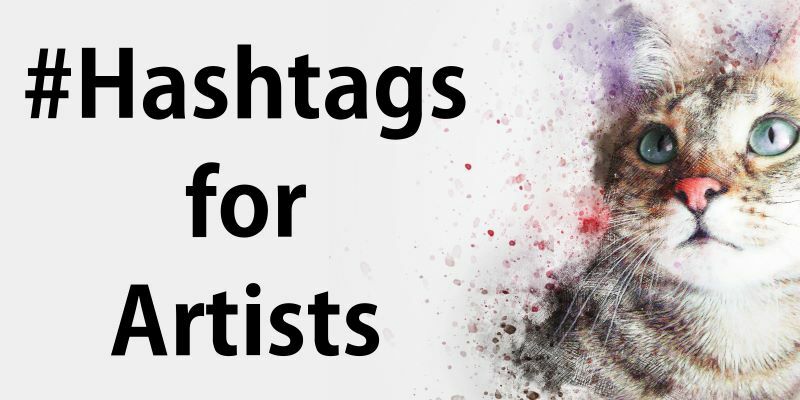 It is thus important that you know which are the best hashtags to use for your artworks. 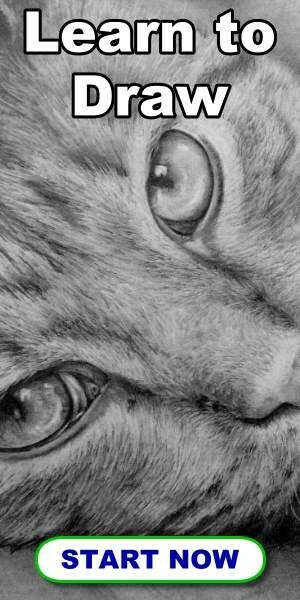 Obviously hashtags that will work for my artwork may not work for your artwork as you may be working in a completely different medium or style. Being able to find the best hashtags for your art is actually quite easy when you know how. My favourite way of finding good hashtags is by using Instagram. As you start typing in the search box, Instagram starts suggesting relevant hashtags. The most used and relevant one being at the top. Below the suggested hashtag it will actually show you how many posts are using that hashtag. 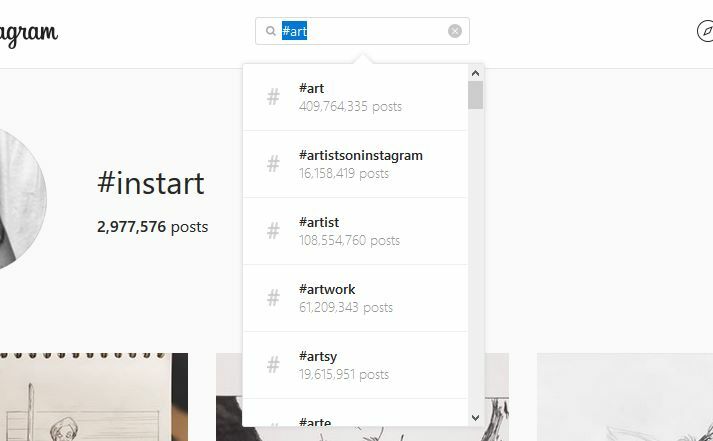 For example at the time of taking the screenshot below there were over 400 million posts with the tag #art. Telling you that this is a ridiculously popular hashtag. Using this hashtag would be pretty much useless as your post would be one in 400 million so it's a chance of showing up high in the search results would be as good as zero. What you want to do is scroll down inside of the suggested hashtag box. Instagram will show you gradually less popular hashtags along with the amount of posts tagged with that hashtag. What you want to look for are hashtags near the top of the list but ones that have a smaller number of posts using that hashtag. Ideally you will look for hashtags that have less than 1 million posts using that hashtag but more than 100 000 using the hashtag. In other words you are looking for hashtags that are popular but not overused. That way you will have a lot of people searching for the hashtag but not so many people adding content under that hashtag. Your post will then have a much better chance of ranking higher for that hashtag because there is less competition. Write down the hashtags that are relevant to your art but have fewer posts. Then try a different seed keyword. For example if you started with #art like we did above, you may type in #painting this time to see what other painting related hashtags Instagram suggests. That way you can find lots of fabulously popular hashtags which have a relatively small amount of posts using that tag. This then increases the chance of your post ranking high in the search results. Now let's take a look at some of the most popular hashtags for art. Note: Don't just blindly copy and paste these hashtags into your posts. Not all of them will be relevant to your art. Pick out of the hashtags from the list below that are relevant to your art, then use them as seed keywords to find more hashtags that are relevant to your art using the above method. One final tip about using hashtags is to create your own hashtag(s). That way people can search for you without knowing the actual address to your social media profile. You never know with the right amount of marketing and interest, your hashtag could trend and go viral bringing you in an incredible amount of exposure in a very short time. When creating your own hashtags just remember to keep them relevant. Now that you know which are the best hashtags to use for your artworks, choose wisely and good luck with your social media marketing. Thank You for choosing to stay up to date.